Oblique aerial view of the air-sea rescue station at Ferry Point, looking SE. 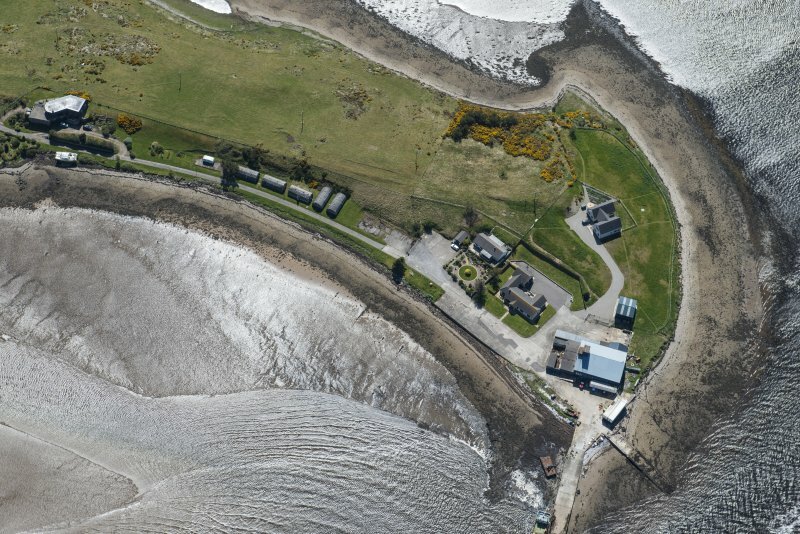 Oblique aerial view of the air-sea rescue station at Ferry Point, looking SSE. Oblique aerial view of the air-sea rescue station at Ferry Point, looking SW.
Oblique aerial view of the air-sea rescue station at Ferry Point, looking ESE. 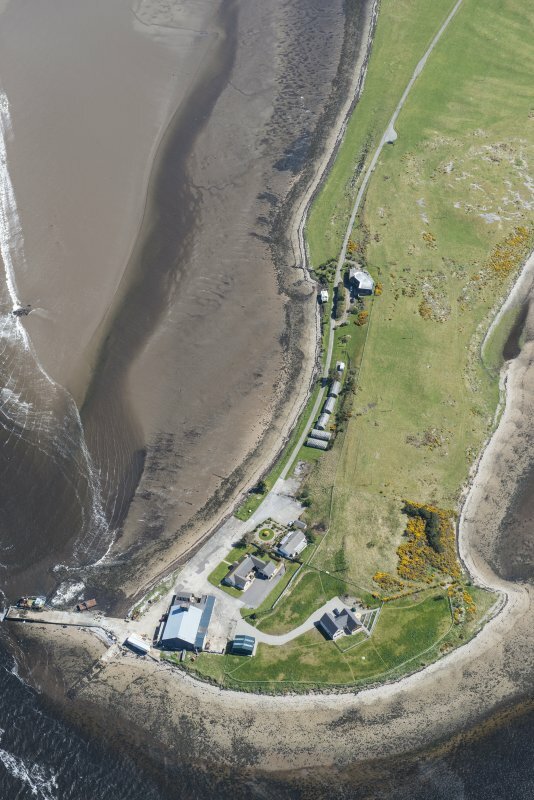 RAF Meikle Ferry was established by the RAF at the ferry pier. No 88 Maintainance Unit Air Sea Rescue operated the base from January 1942 until it closed in February 1946. Up to three fast motor launches operated in an air sea rescue role. 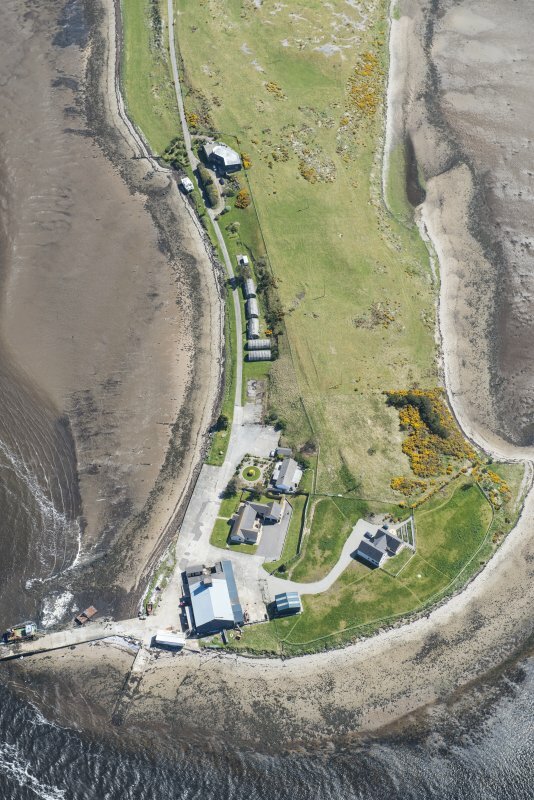 The base comprised two piers/slipways (see NH78NW 31 and 65), a large repair/maintenance shed, a number of buildings providing accommodation for officers and men, mess and cook house. The base also had a small floating dock. 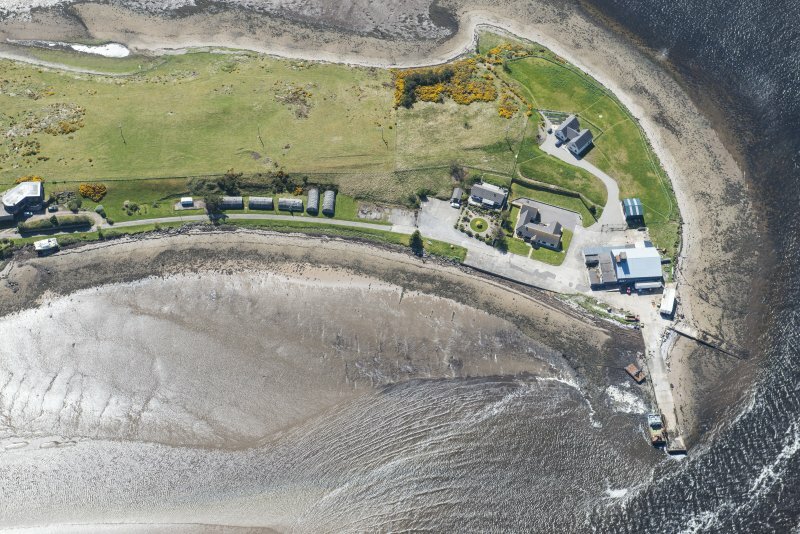 Aerial images show up to 23 buildings at the site (106G/Scot/UK 114 3225-6 (flown 23 May 1946). The large shed appears to be a standard building for Air Sea Rescue Station, with a observation post on the roof. Similar examples existed at Gibbhill (NX65SE 355) and Drummore (NX13NW 72). The current building has been altered, with new cladding and breeze block walls added around the original metal framework. On the approach road (NH 73308 85733) are five handicraft huts, a standard RAF accommodation hut made of trough shaped asbestos sheets bolted together to form a seven sided roofed building in section with end walls of rendered brick and manufactured from 1942 by the Universal Asbestos Company. The five huts appear to be in good condition, but some of the windows and doorways have been bricked up, and one hut has a chimney attached. Huts bases can be seen on at each end of the row. To the NW of the five huts are two modern houses, which were built on the site of RAF buildings. An additional handcraft hut was recorded at NH 73179 85840 by Highland Council HER, prior to demolition. 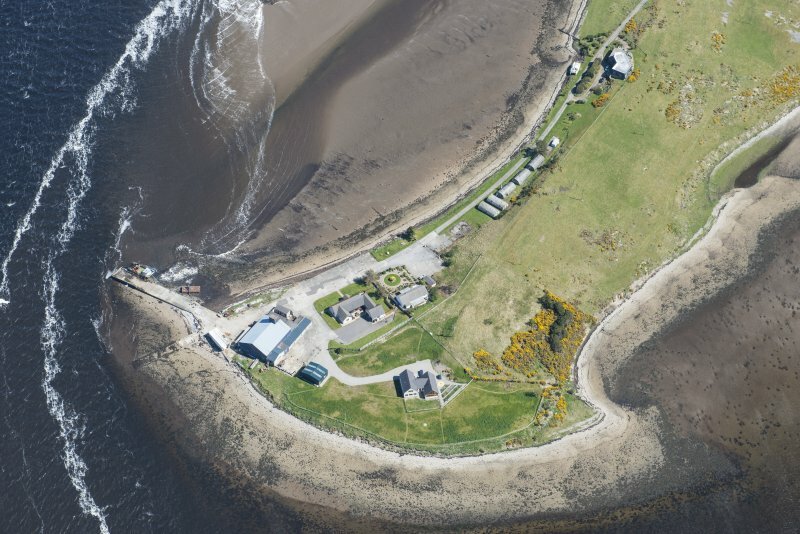 Visited by RCAHMS (AKK) 7 may 2015.